Shot by dazzling shot, line by irreverent line, Guardians Of The Galaxy Vol. 2 is a witty, action-packed and spectacular follow-up to 2014's Guardians Of The Galaxy. Becoming the fifteenth film in Marvel’s Cinematic Universe, and distributed by Walt Disney Studios Motion Pictures, the $180m production was written and directed by James Gunn. 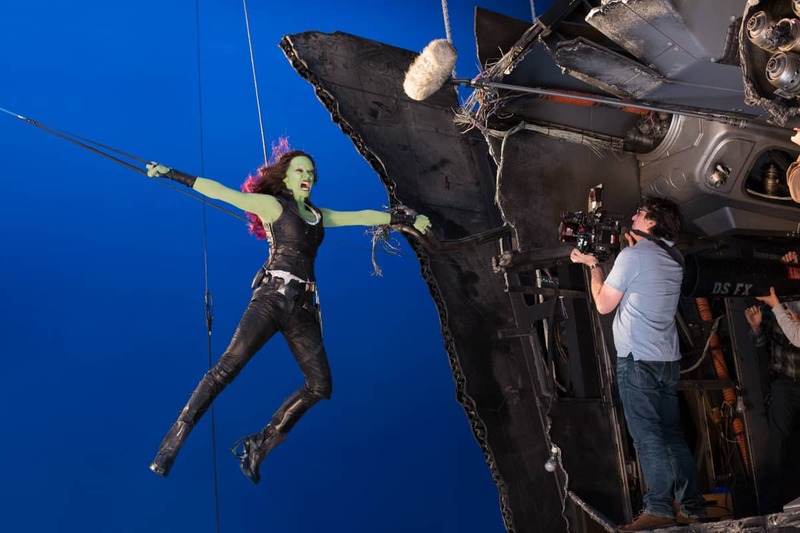 It features an ensemble cast including Chris Pratt, Zoe Saldana, Dave Bautista, Vin Diesel, Bradley Cooper, Michael Rooker, Karen Gillan, Sylvester Stallone and Kurt Russell. 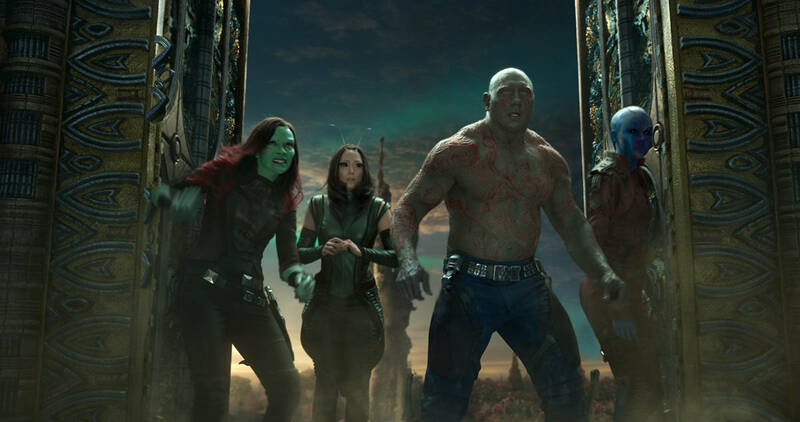 The new movie sees the superhero Guardians travel throughout the whacky cosmos, evading an alien race that originally employed them to guard precious batteries from an inter-dimensional monster, whilst learning more about Peter Quill’s true parentage. Principal photography began in mid-February 2016 at Pinewood Atlanta Studios in Fayette County, Georgia, under the working title Level Up, with Henry Braham BSC serving as cinematographer and Scott Chambliss as production designer. Additional filming took place in Cartersville, Georgia, and at The Georgia International Convention Center, which provided additional soundstage space for the production. Principal photography wrapped mid-June 2016. Notably, Guardians Of The Galaxy Vol. 2 was the first feature to be shot at 8K resolution, using the RED Weapon camera in VistaVision mode, but framed for a 2.35:1 release, with additional scenes also shot 1.90:1 aspect ratio for IMAX release. The movie was also dimensionalised for 3D distribution. “Although I don’t watch a huge number of super-hero films, I loved the wit and imagination of the first movie,” says Braham. “It was also intensely human with big themes – about family, love, loss and finding yourself. This really hit a nerve, and was why it was so successful. From the outset, Braham was conscious of the need to fulfil particular aspects of his director’s wishes – namely to keep the visuals colourful, rich and expansive, whilst also keeping the camera alive to the opportunity of capturing the spontaneity and ad libs of the actors’ performances. Whilst Braham tested and evaluated high-resolution cameras for the production, including the ARRI Alexa 65, he revisited the option of using camera technology developed by RED Digital Cinema, which had previously supplied the cinematographer with 6K RED Dragon cameras for The Legend Of Tarzan in 2014. 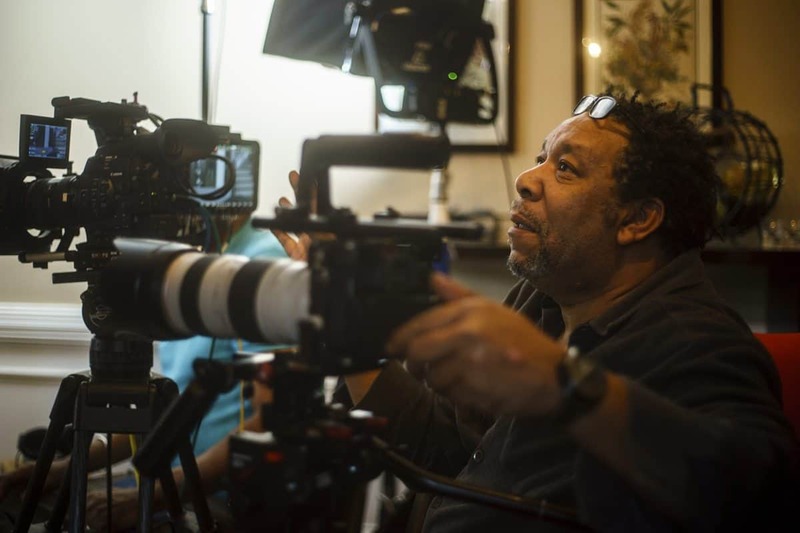 “The Alexa 65 delivers a stunning image, no two ways about it,” Braham says, “but the camera is big and heavy. Fundamentally, I wanted the same style of image, but from a camera with a smaller body size. I knew physicality would be very important to capturing the spontaneity, and I wanted an image with depth and richness. After testing the then small selection of glass that would suit the camera’s 8K sensor, and considering the production’s different aspect ratio deliverables, Braham settled on Panavision 70 series lenses, which he had tuned to his visual predilection by Dan Sasaki and the optical engineering team at Panavision. "The fun part of making any movie is starting with a clean sheet, and collaborating with different departments and different manufacturers to develop the aesthetic and bring the imagery to life. With all of the new technology around, it’s a very exciting time to be making films." 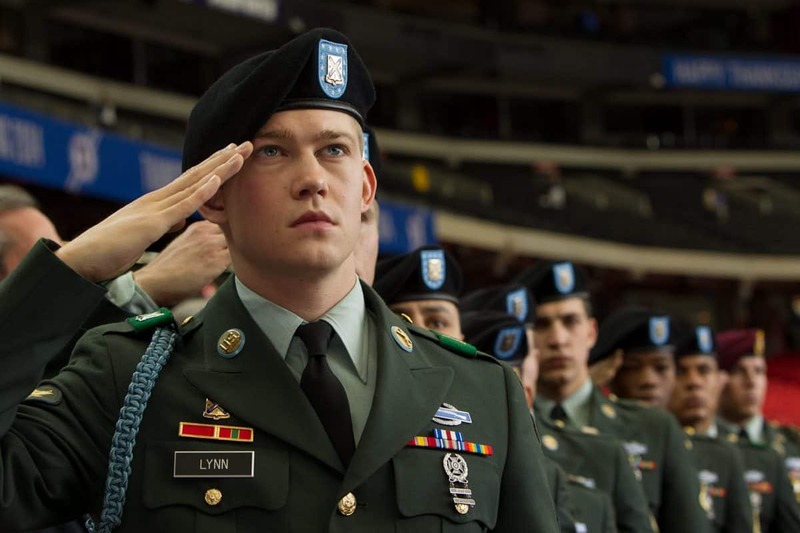 Braham also harnessed the talents of Matt Watson, colourist at Santa Monica-based production services company Shed to implement an ACES workflow, that would ensure colour fidelity from camera to post, and also to set-up a dailies screening room on the Pinewood Atlanta lot. Shed also managed the production workflow to support the speedy transition of 8K data from the camera into post production. 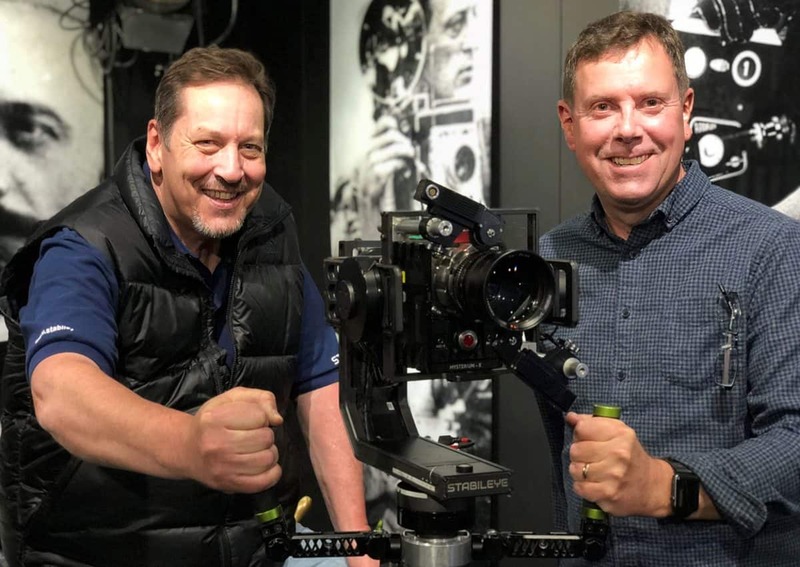 The size of the full 8K frame is 8192 x 4320 pixels and, with a Phantom Flex 4K camera used to shoot slo-mo sequences at 1,000fps, the production generated over 100 TB of data in the first 30 days of what would eventually be a 90-day production. Having ticked a number of boxes regarding image quality, Braham rapidly turned his attentions to the physicality of the camera, its relationship with the action and the need to capture the spontaneity of the actors. Consequently, Braham turned to Dave Freeth and the team at Stabileye, in the UK, to find a solution. The company’s eponymous product is a miniature, gyro-stabilised head that weighs just 2.5Kgs. Remotely operated like a Libra head, the Stabileye can be used handheld, on an easy-rig or be slung on a wide range of fast, point-to-point wirecam systems. Discussing his approach to lighting Guardians of the Galaxy Vol. 2, Braham notes, “As the production was so stage and VFX-heavy, it was helpful to be in early on this. Lighting rigs are expensive, and when you are going to be using a huge amount of lights, you must use this resource intelligently. To light the inside of Ego’s (Kurt Russell) amorphous spaceship, where the camera needed to move in 360-degrees, Braham came up with the novel solution of wrapping the set entirely with arrays of 40 x 40ft and 100 x 100ft video screens, typically used at outdoor sporting and musical events. During the shoot, video media displayed on the video screens was used to both illuminate the sets and create believable sources of moving light as the ship is propelled into new situations around the universe. 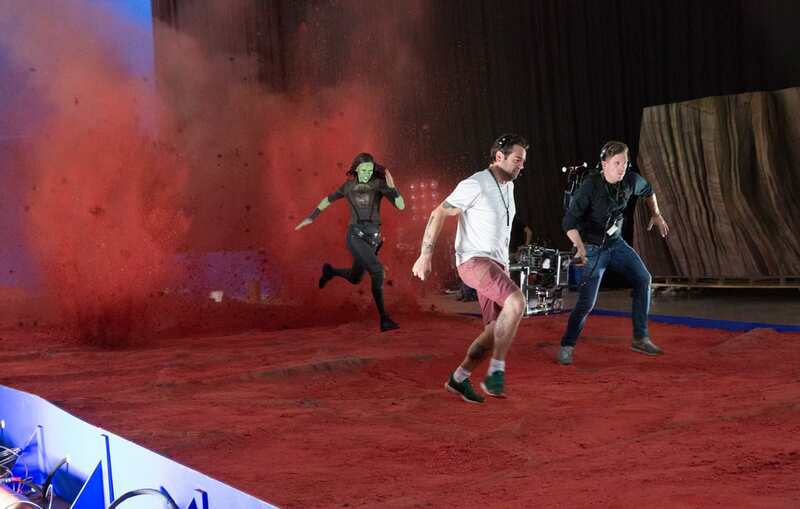 Having ensured that the colour workflow would deliver his artistic intent from the set into post production, Braham says the DI – which he worked on remotely from Technicolor London with colourist Steve Scott located in a Marvel grading suite on the Disney lot in LA – was straightforward. Braham needn’t worry. As this story went to print the portents for another smash-hit-winder looked most favourable. Indeed, with Guardians Of The Galaxy Vol.2 looking like a sure-fire winner, Gunn has announced he will more than likely return to write and direct Guardians Of The Galaxy Vol. 3.